We spent one night in Toya, in a cheap and pretty rundown hot spring hotel. Complete with tinny muzak which we couldn't turn off, no view and gangs of Chinese tourists shouting at each other at sunrise just outside our window. 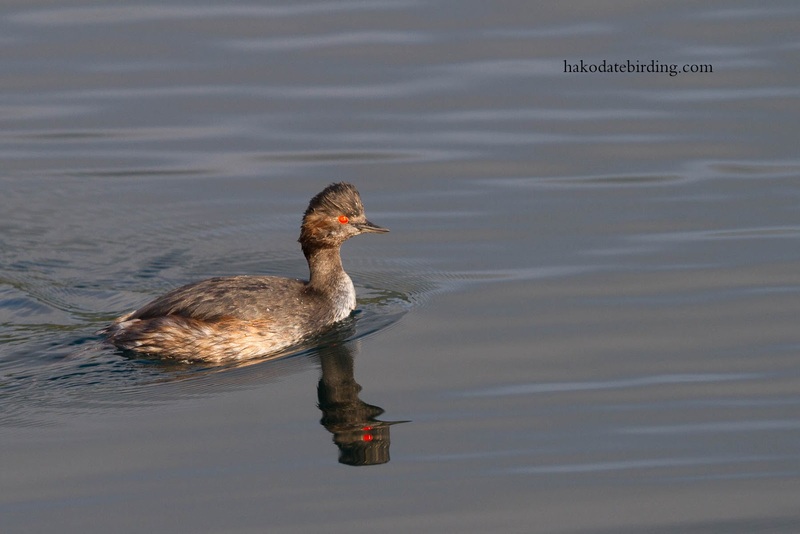 Toya is not a great place for birding usually but in autumn there are Black Necked Grebes everywhere. 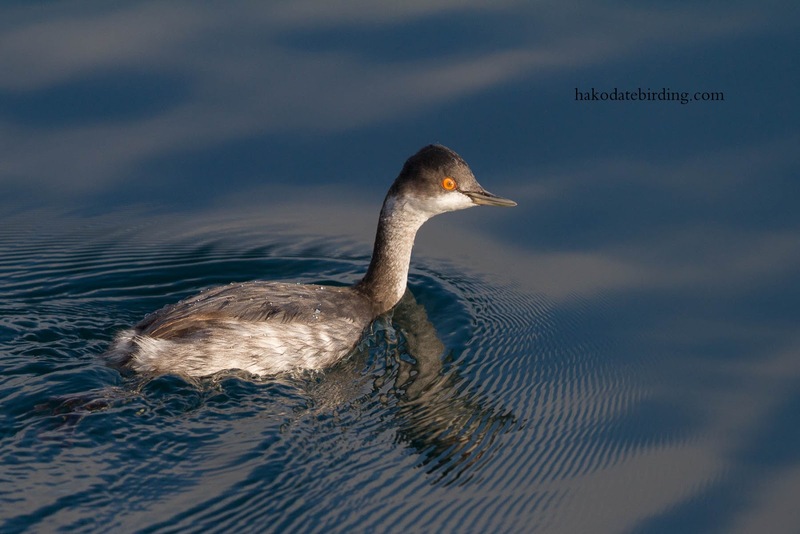 They don't breed in Japan but I've seen loads this month. 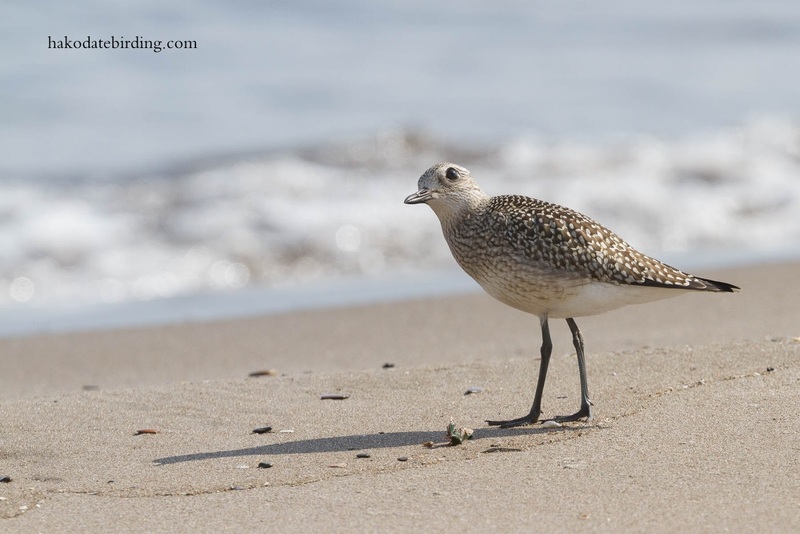 At Oshamanbe this Grey Plover was on 2 different beached (on the way and way back). 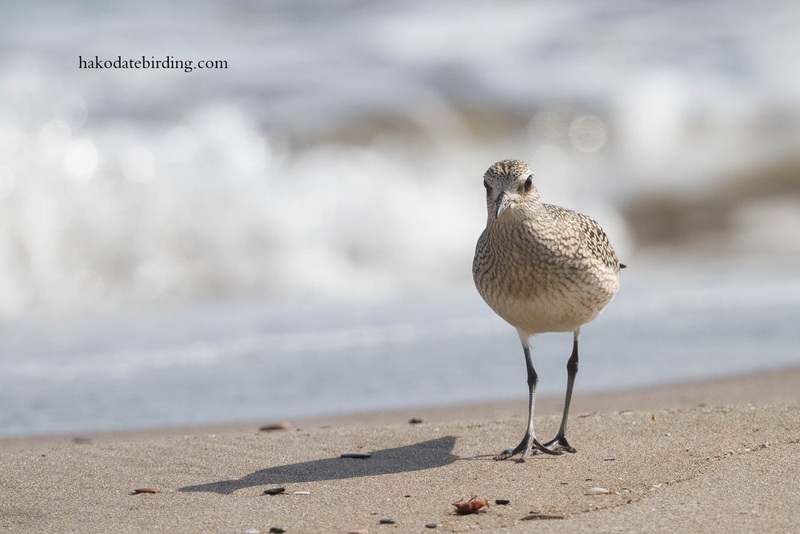 4 Red Necked Stint were the only other waders..............it's been a poor 2014 for them. 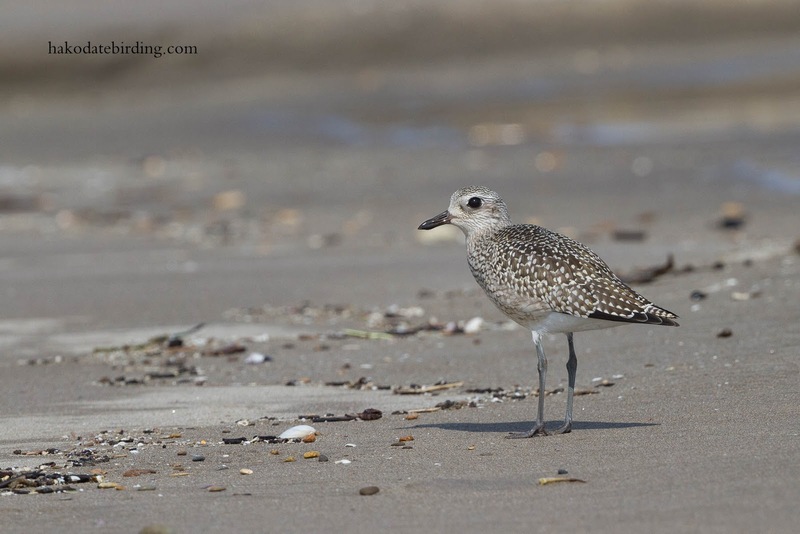 Brilliant to get close to a Grey Plover like that Stu. Lovely clarity. That hotel sounds like it should be in Blackpool along the Golden Mile. Hi Phil, it was very wary but 700mm is useful in these situations. Some parts of Japan are very tacky but Blackpool is still the champion. 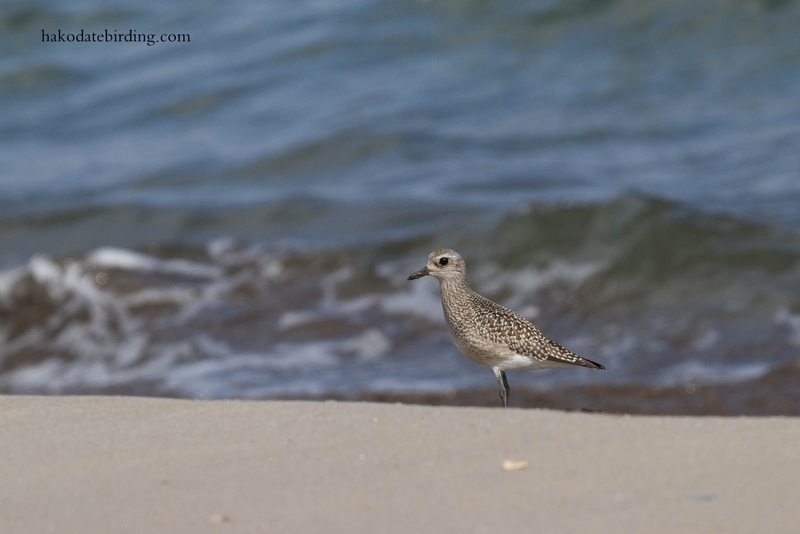 Nice light for the Grey Plover shots…. Re: "Tackiness", surely Morecambe is the stand-out ?